Post production on upcoming ITVBe documentary: 'What Camilla Did Next' - Timeline Television Ltd.
Having emerged as the nation’s sweetheart during her memorable stint on Love Island 2017, Camilla Thurlow is a woman on a mission. 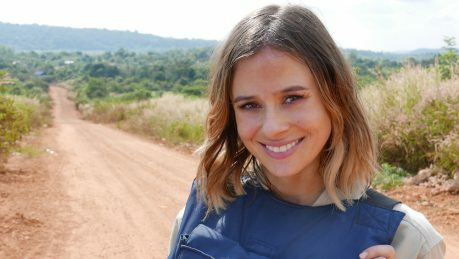 Juggling stardom with a blossoming relationship, as well as her ongoing work to raise awareness of landmines, Camilla is going back in front of the cameras for the first time since Love Island to offer viewers an intimate glimpse into her hectic lifestyle which is not just aspirational but inspirational. Former humanitarian worker Camilla will also be going back to her roots as she embarks an emotional, empowering and exhausting journey back to Cambodia where she used to work for the mine clearance charity the HALO Trust. Timeline provided Sandstone Global with a full post production service at its dedicated post facility in Soho and in MediaCityUK. Find out What Camilla Did Next on Wednesday 30th January at 9pm on ITVBe.